An emotional journey fraught with desire, angst and secrets that consume. A story about feeling too much and too deeply that you don’t feel at all. 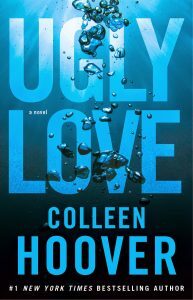 Bold and beautifully written, this is a different side of Colleen Hoover … one you won’t soon forget. That was my experience reading this book. 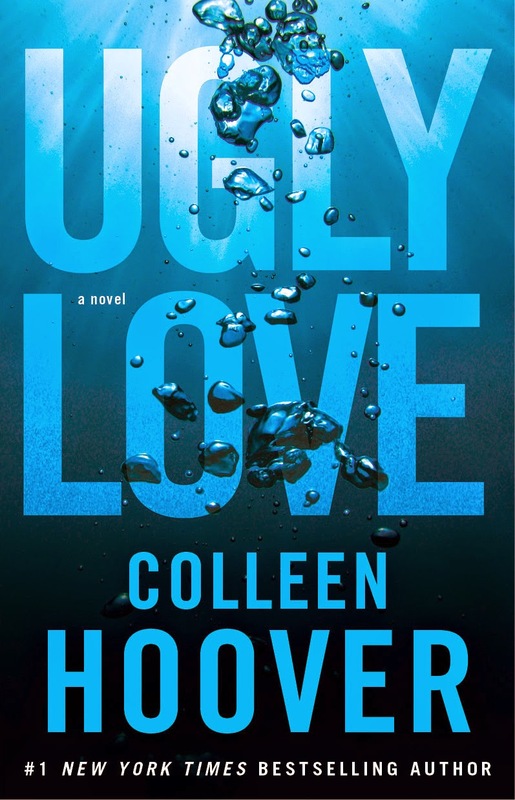 Colleen Hoover once again proves she’s a master storyteller in her best and boldest work to date. She pens the novel in a unique and thematically symbolic format that renders a one-of-a-kind fluidity and motion to how the story ebbs and flows. How it recedes. How it crests and surges with every emotionally charged moment as Miles reluctantly falls in love with Tate, and in turn, how Tate falls for Miles despite his best efforts to keep her away. Their story isn’t typical, but it’s one that is all about feeling. Feeling too little and feeling too much. Feeling so much that you shut down and feeling not enough that you hurt others. And despite the fact that their coming together isn’t a fairytale, it shows that sometimes a happily ever after costs a great many tears and heartache. That beautiful, forever love can come from ugly, broken love… if you just believe in a person enough to not give up. When nurse-in-training Tate Collins moves in with her brother temporarily, she never expected to meet Miles Archer—a striking, blue-eyed, unpredictable boy whose presence fills an entire room. Despite his desultory attitude, she was able to see feeling and pain and secrets behind the stormy blue of his eyes. There was more to him than he led on and she couldn’t help but be drawn to him. But love was impossible for Miles. It could never happen. It shouldn’t. Tate’s feelings intensify nonetheless. Each time he smiles. Each time he’s kind. Each time he touches her… that undeniable, ever-present connection beckons. And even though he’s cold one minute and hot the other, she suspects he feels something real too. Desire grows as confusion consumes, but finally a creative arrangement gives them a mutually beneficial outlet. They agree to a physical relationship bound by rules, but devoid of any hope for more and stripped of any real emotion. Miles defines complexity. A well-worn armor masks emotions, hides a past. We get to know him gradually, moment by moment. Upon first meeting him, he seems hardened, callous, uncaring, but we also get the sense that he’s been through something life-changing. Life-taking. Because now, in the present, he seems bereft of it. Living but not really living. Numb and simply going through the motions. The entire story alternates between present and past tense, allowing us to experience the different sides of Miles. The juxtaposition between the two versions is striking, and as a reader, I desperately sought to bridge the chasm between the two personas. What happened??? The story centers on their struggles to understand their feelings for the other. Tate must battle whether Miles’ sometimes hurtful actions are worth it. Is he worth it? And Miles must reconcile his past and decipher his own feelings before it’s too late. I loved the buildup of emotion as these two people fell in love. I could feel myself filling up up up with desperate hope and possibility. It was all such a visceral experience. So many emotions. So many ups and downs. So many feels. All wonderfully chaotic. And goodness, when the truth is finally revealed, IT. IS. UGLY. Gut wrenching. Shattering. I was breathless. In tears. Everything fell into place. I got it. Every Colleen Hoover book is a challenge. At the first flip of the page, I ask myself… Can this story actually trump the one before? Will it be as good? As powerful? As creative? Will I fall in love? What will she do differently? How can she do it again and again and again AND AGAIN? Can she really? She can and she does. Hi Fatima, yes the winner can be seen on the rafflecopter now.